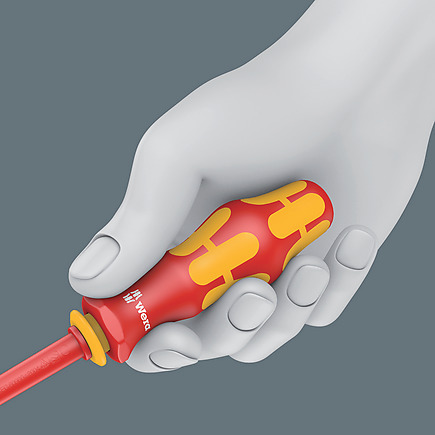 The outstanding design of the Kraftform handle that fits perfectly into the hand prevents hand injuries such as blisters and calluses. 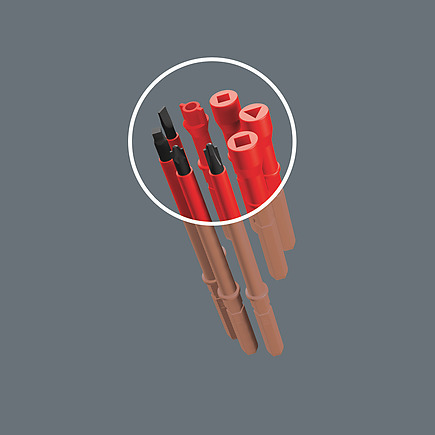 Wera produces the Kraftform handle out of several materials with different properties. A resistant plastic is used for the core which ensures that the blade is held securely even under high strain. A softer material is used for the coloured soft zones, which provides high frictional resistance and allows the transfer of high forces – resulting in less required screwdriving effort. The red sections with their hard surfaces prevent any “sticking" of the hand to the handle, making rapid repositioning of the hand possible. Why is the right tool so often missing at the workplace? The reason: too many tools and overly-heavy tool bags can make it bothersome to carry keep them with you. So for us it was a clear challenge: to develop a tool that is suitable for a whole host of applications and can be easily taken along to the workplace. Our solution: Kraftform Kompakt tools. A handle into which blades with a range of different profiles can be inserted. Compactly and protectively housed in a light and robust textile pouch – and they are even VDE-tested, too. 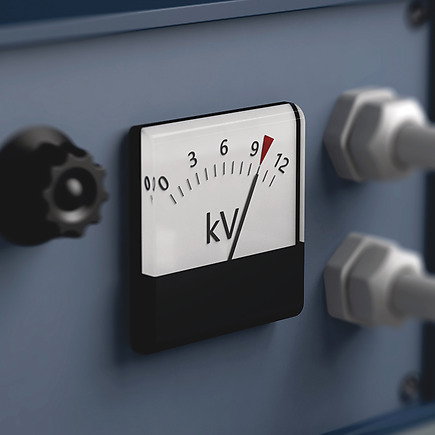 Each Kraftform Kompakt VDE set has been tested individually at 10,000 volts, in accordance with IEC 60900.This ten-times-higher testing load guarantees safe working at their maximum permitted load of 1,000 volts. 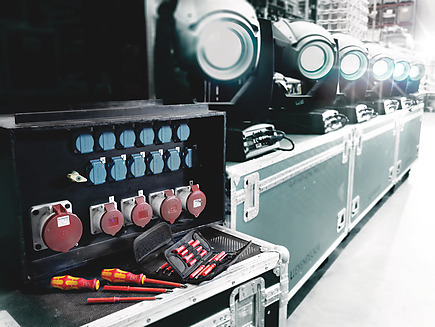 Kraftform Kompakt VDE sets come with an insulated handle and insulated inter-changeable blades, that can be exchanged without any special tools. The basic idea for the prototype of the Kraftform handle – that the hand should dictate the design – has, right through to today, proved to be correct. 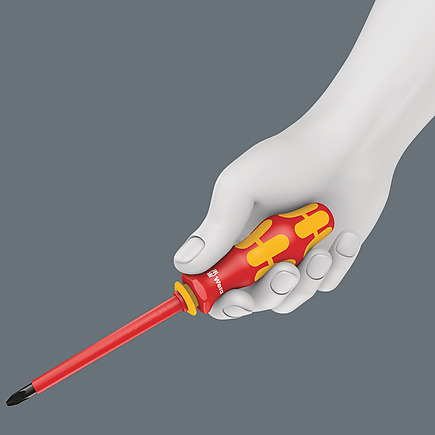 In cooperation with the internationally recognised Fraunhofer IAO Institute, Wera developed a screwdriver handle designed to match the shape of the human hand as long ago as the 1960s. 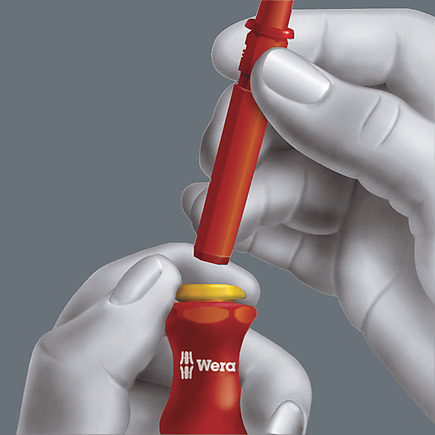 After a long development phase, the Wera Kraftform handle was launched to the market in 1968. 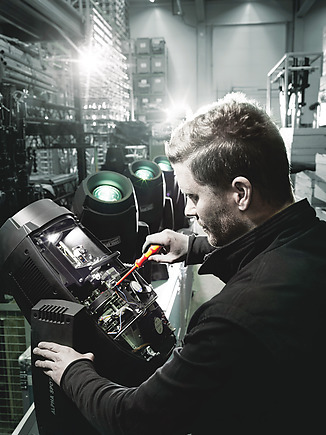 It has been optimised through the years with new technologies, but has kept its proven shape. After all, the human hand has not changed either. 16 VDE interchangeable blades with 817 VDE Kraftform handle in a robust belt pouch. 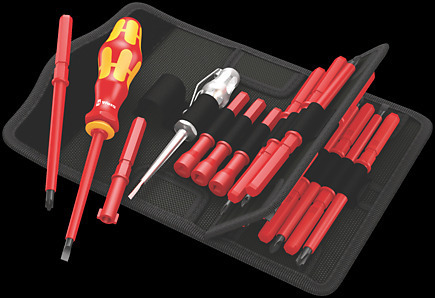 Individually tested tools as per IEC 60900. Individual test in water bath at 10,000 volts for secure work at the permissible voltage of 1,000 volts.